Veneers are becoming more and more popular with people who want sparkling teeth or who want to correct minor imperfections. 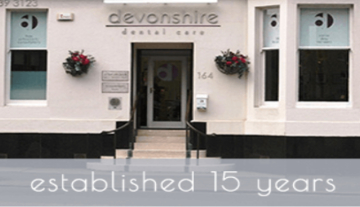 If you have stained teeth or a slightly crooked smile, then hand-made same day veneers in Scotland here at Devonshire Dental Care could be an effective way to resolve the problem. 24hr veneers will keep your smile looking bright, as long as you take good care of them, while the treatment can be carried out in just 24 hours rather than the many months required for treatment like orthodontics. As we use a state of the art dental laboratory and an in surgery digital 3Shape scanner, we can offer veneers made in 24hrs. Our veneers are hand crafted by porcelain technicians to give the best aesthetic result. The veneers can be prepared before noon and fitted the next day. Please contact for a free consultation. why should i choose same day veneers? If you have some slight imperfections that are making you embarrassed about your smile, then our hand-made 24hr veneers in Glasgow could be the perfect solution. They are easy to fit, and you can go home with a completely new smile in 24 hours, with a beautiful set of hand-made veneers. Many people are too busy these days to attend endless dental appointments for fittings and check-ups, which is why our 24hr veneers are becoming so popular. how are 24hr veneers fitted? Our hand-made veneers are fitted in the same way as any other type of veneer. Once a 3d scan has been taken of your mouth, expert technicians will craft a set of veneers that are unique to your smile. In order to attach the veneers, a dentist may need to reshape your teeth so they will fit smoothly, while they will also use a file to prepare your tooth enamel for the new smile. Your hand-made veneers will be cemented to your own teeth in a procedure which is painless and straightforward. how long do 24hr veneers last? You are guaranteed high quality veneers with our hand-made system so that the veneers will not only look natural, but will fit your mouth perfectly, for long-lasting results. Our hand-made porcelain veneers will last for many years, but only if you take good care of them. They need to be kept as clean and healthy as natural teeth.